← Youth Aches: In the Forest, She Grew Fangs and Romeo & Juliet, reviewed. Lou Reed was one the greatest American artists in any medium. Slate invited me to compile a playlist of 10 of his post-Velvet Underground songs as way for newcomers to sample his 40-year solo catalog. I was honored. You can read that here. 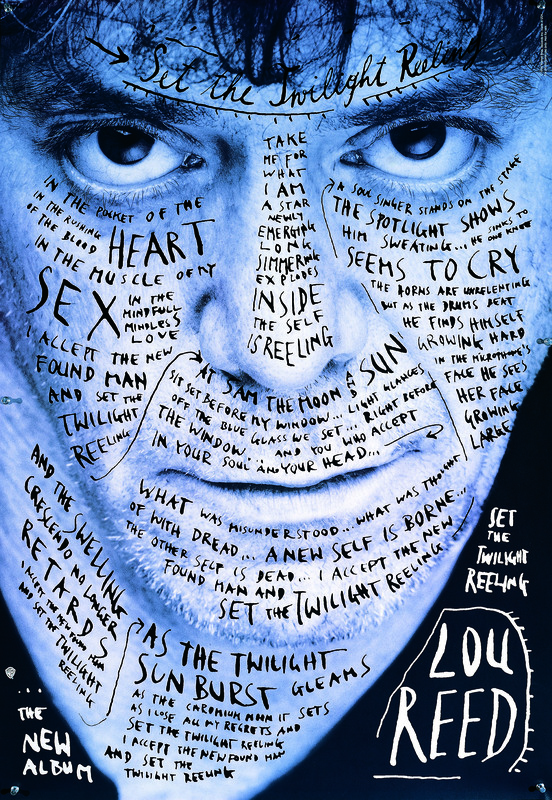 When Rolling Stone reported Lou’s death at the age of 71 yesterday morning — it’s not like I knew him personally, but something about his songwriting, especially on The Blue Mask album from 1982 and everything afterward, makes me feel first-name intimacy with him — I started tweeting my recollections as a longtime admirer. I was introduced to his work and his wry worldview by New York in 1989. I heard the single, “Dirty Blvd.,” on the radio, and I got the CD from the Columbia House mail-order club. Years later, I took a beach trip to South Carolina for a week with a bunch of friends right after we all graduated from high school. It was my first overnight trip sans adult supervision. I didn’t do any drugs because I just wasn’t interested, but I did buy Reed’s Between Thought and Expression boxed set at a record shop in Charleston during that trip. The first album I remember reviewing for publication was Reed’s 1996 Set the Twilight Reeling, when I was in college. I wrote about it alongside Sting’s Mercury Falling album, which came out at roughly the same time. Reed was never as commercial or famous as Sting, but it struck me as useful to compare the two artists, both of whom spent a short time as the singer-songwriter in iconic bands before striking out on their own. And they both followed their muses down some unlikely paths. They’ve posted Reed’s original version of “Satellite of Love” from 1972 with David Bowie singing backup, so here’s another version I’ve always loved, from U2’s 1992-3 ZOO TV Tour. (Whomever that is who starts yammering the moment Lou comes in should have a sock stuffed in his mouth.) They covered the song as a duet with a video recording of Lou at mid-show every night of the two-year tour, and the reunited Velvet Underground even opened for them at a handful of European stadium dates in 1993. Along with Pearl Jam. How’s that for a triple bill? FURTHER READING: My frustrating, heavily truncated 2008 Washington Post interview with Reed, featuring the most inane headline ever slapped on something I’ve written. And my WashPo review of his April 2008 9:30 Club concert. This entry was posted in music, Uncategorized and tagged Lou Reed, playlists, Slate, U2. Bookmark the permalink.